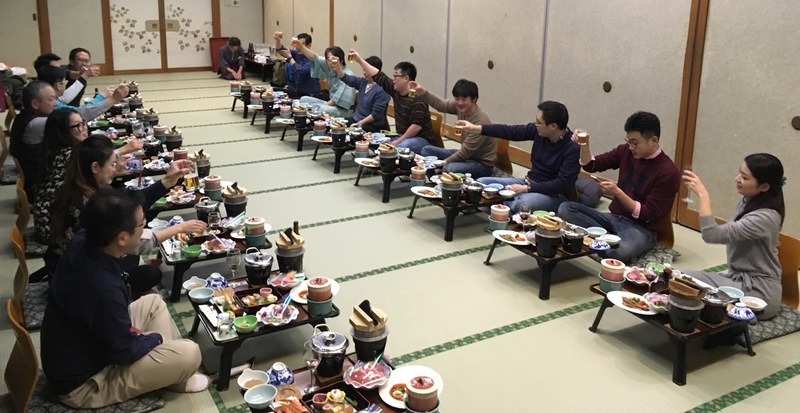 It was the annual HKIWSC wine judges study trip again and this time we went to Japan for both wineries and sake breweries visit. After a stressful start of missing the train by five minutes that delayed the trip by one hour in the first day, we eventually arrived Yamanashi, the oldest wine region in Japan where we visited two wineries, Grace Winery (available from wine’n’things) and Chateau Mercian. The two wineries are at the extreme opposite but both share the same commitment to quality. 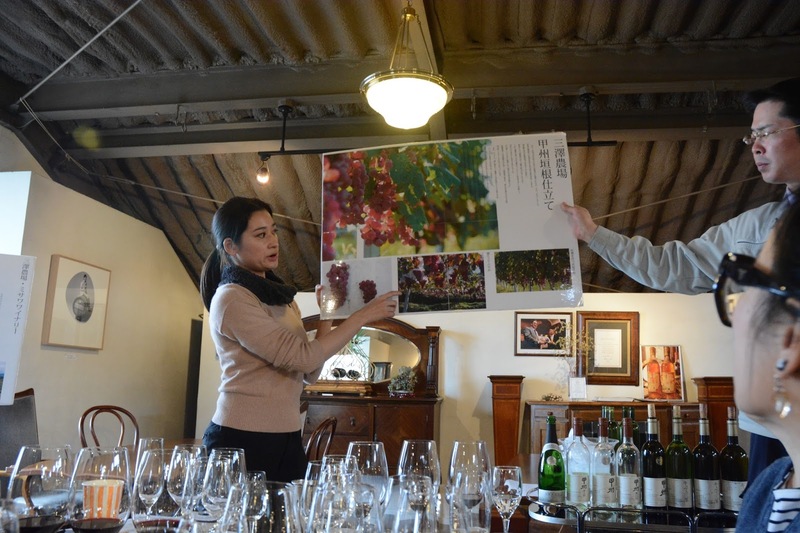 Grace is a small family owned estate managed by father and daughter while Chateau Mercian is one of the largest wineries in Japan run by a team of winemakers and corporate staff. Koshu is the native Japanese grape variety that has been cultivated in Yamanashi for more than one thousand years. It is traditionally trained in pergola system but the quality was usually substandard because of high yield. To improve the quality, Grace Wine decided to plant Koshu in VPS (vertical positioning system) to maximise sunshine thereby concentrating the flavour. 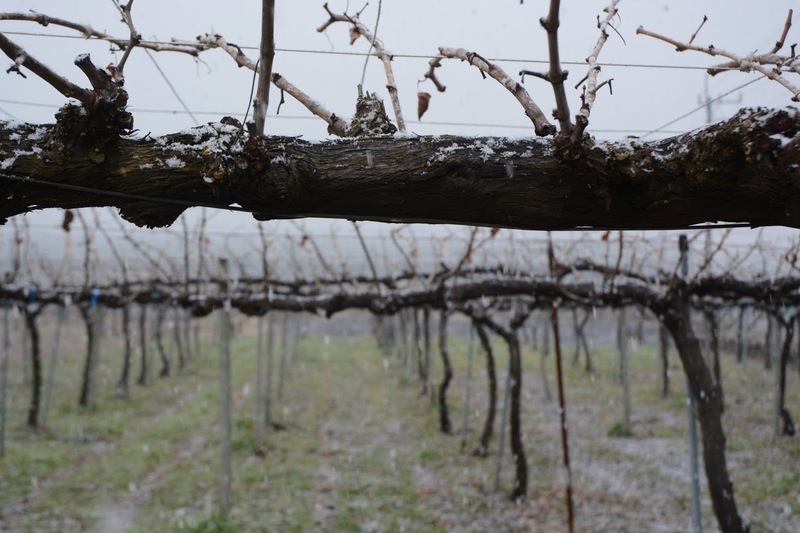 In contrast, Chateau Mercian continues with the pergola training but experimented with ‘Ichi-monji’ spur pruning that resulted in lower yield and better quality fruits, instead of using the traditional ‘X shape’ cane pruning. It is interesting to learn that two very different approaches could achieve the same objective. We tasted four Koshu from each winery. From Grace, the Koshu were all vinified the same way in stainless tank but with the fruits from different regions and vineyards. All the wines shared the same delicacy and purity but with different expressions. The Private Reserve 2015, made from grapes from Katsunuma village, has more pronounced white fruits notes probably because of the clay soil where vines are grown; while the Cuvée Misawa Akeno Koshu, a single vineyard wine, is precise with intense minearality and steeliness. This horizontal tasting was a perfect showcase of how a neutral grape could shine given the right management at vineyards and cellars. At Chateau Mercian, two of the Koshu were fermented in stainless steel tank while the two Koshu Gris de Gris (2015 and 2005 vintages), had skin contact. The 2015 Gris de Gris was fermented and aged in oak, giving a more structured, slightly tannic, smoky wine with more yellow fruits aromas. Koshu, because of its delicate flavour, is great with sashimi but this Gris de Gris would be good with more flavourful dishes such as yakitori. Grace Extra Burt 2011: a very small production of Blanc de Blanc sparkling wine with 36 months on lees, was made from 100% Chardonnay grown at Misawa Estate in Akeno that has the longest sunshine hour in Japan. Its vividness and purity are not dissimilar to English sparkling wine. 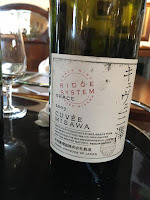 vineyard in Akeno, was the most impressed in the line up with ripe fruits, integrated palate and elegance. It was only made in limited volume in the best year and is not for sale. We were very privileged to have tasted one of the 547 bottles made. 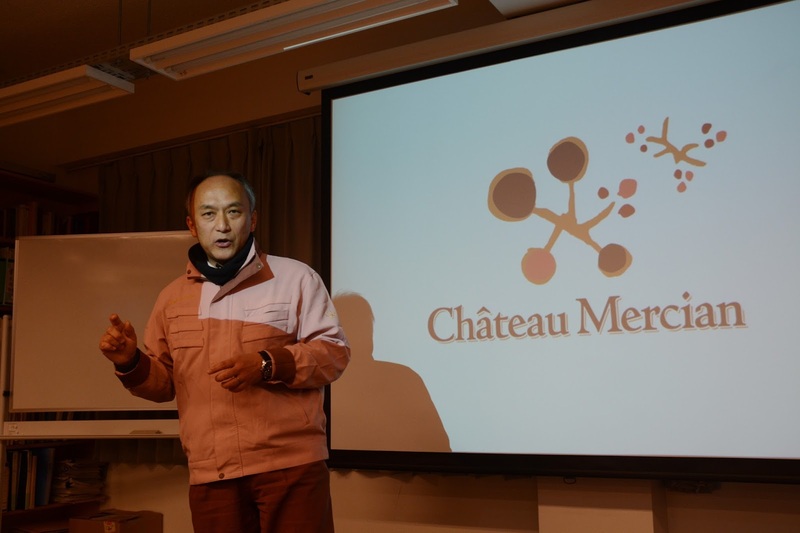 Chateau Mercian Syrah 2013 from the 620m altitude Mariko Vineyard in Nagano Prefecture, a typical cool climate Syrah with lovely white pepper nose and fine tannin. Only 1,700 bottles were made. Apart from wineries, we also visited two sake breweries, Izumi Bashi (available from city;‘super) in Ebina and Nechi Otokoyama in Niigata. I don’t know a lot about sake but definitely want to learn more after this trip. At Izumi Bashi, owner Yuichi Hasahiba gave us an intense course on sake brewing and a practical session on sake making - mixing steamed rice and kouji rice, as well as kimoto (mashing the rice mixture). This was followed by a 8-course Japanese fusion dinner paired with 10 sake from sparkling to sweet at his own restaurant to showcase the versatility of his sake. 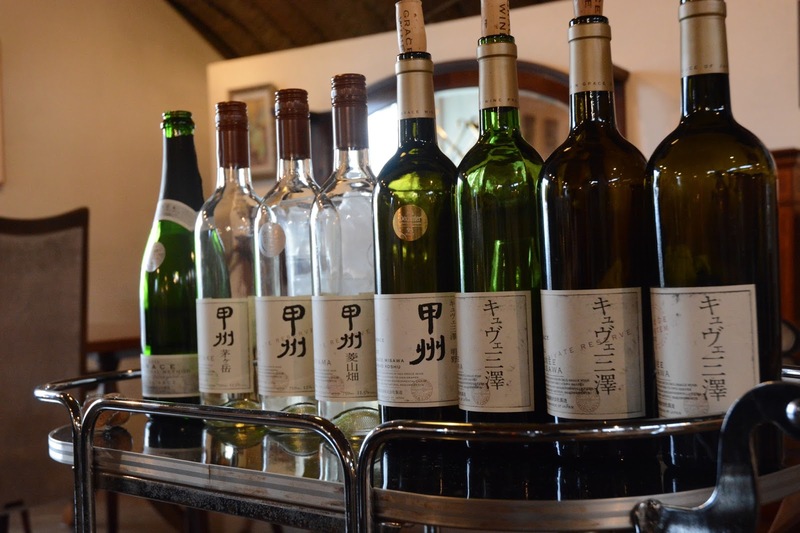 At Nechi Otokoyama, sake was made like wine with vintages as owner Yoshiki Watanabe believes wine and sake share the same principles. We were shown the rice fields along the banks of Nechi River before having a very informative tasting of three vintages of sake made with Gohyakumangoku and Koshi-Tanrei respectively. The trip was educational as well as super fun, with lots of delicious food and the snow was added bonus. Thanks again Kenichi, Micky and Sarah for organising another memorable HKIWSC judge trip! Looking forward to the next one.